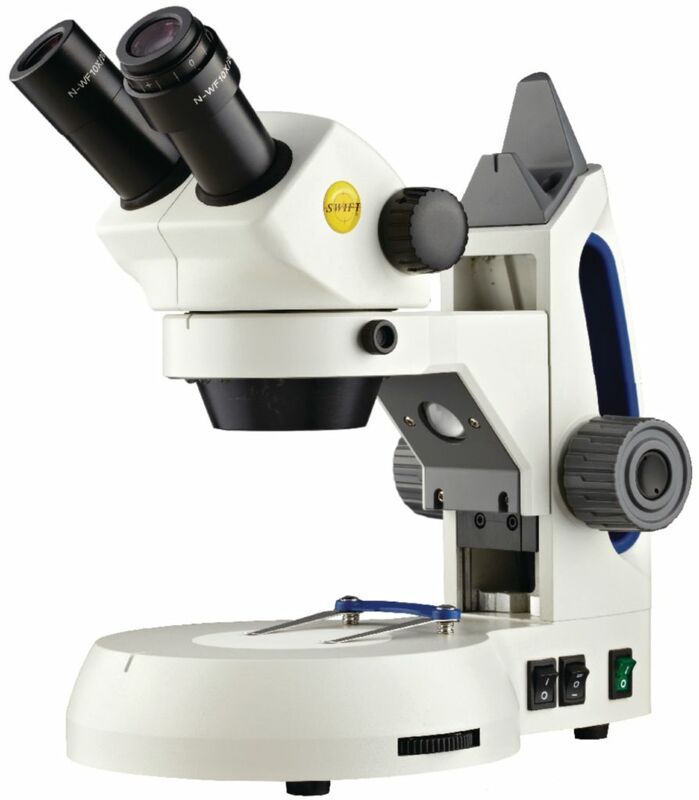 Versatile and durable, these stereomicroscopes are ideal for use in high school classrooms and beyond. The microscopes are available with fixed magnifications of 1x through 4x and zoom magnification of 1x to 3x. A right eyepiece diopter enables easy and precise focusing. Both corded and cordless models feature five light setting combinations for optimum flexibility in all laboratory conditions. Transitioning from slide to slide is simple with the one–touch, spring-loaded stage clip.